Please take notice of our office closing date. Our office will be closing at 6:00pm on Friday, April 15th and will not reopen until Wednesday, April 20th, 2016. To file for an extension, you simply need to submit Form 4868. 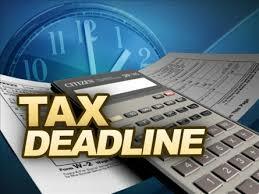 Submitting this form will give you until October 15th of that year to file your returns. However, an extension of the time to file is not an extension of the time to pay. If you think you will owe taxes, you must send a payment along with the extension. This applies for your federal and state tax returns. This entry was posted in Tax and Money Tip of the Week and tagged Raleigh CPA, Tax and Money Tip of the Week, Tax Deadlines, Tax deadlines. North Carolina CPA. Bookmark the permalink.